Appointed as an Auditor at Shin Caterpillar Mitsubishi Ltd. Appointed as an Auditor of Oi Electric Co., Ltd.
We proudly announce at the beginning of the new Reiwa era that the year of 2019 marks the 117th anniversary of Iwata Godo’s foundation. This achievement would not have been possible without the long-term support　from our clients. We would like to extend our sincere gratitude to everyone who has helped us to date. Over the years, we have not only enjoyed steady business growth but also enhanced competitiveness as an all-around legal advisor. Aiming to enable us to provide the best and the strongest support to our clients through our client-oriented approach so that they can adopt themselves to an ever-changing business environment and times, we have consistently undertaken various kinds of initiatives. They include hiring promising young lawyers, welcoming experienced attorneys and foreign lawyers qualified to practice in Japan, dispatching our lawyers to external organizations such as courts, government agencies, banks, business corporations and overseas law firms, working together with overseas law firms, supporting our lawyers in studying at overseas law schools, and inviting leading figures in financial and tax administrations as our special advisors. We will continue to strive to improve and enhance capabilities of our workforce both in terms of quality and quantity, so that we will be able to cater to a broad range of needs of our clients and thus make them achieve a great level of satisfaction. From now on, we, as a team, will further enhance our efforts and continue to be fully committed to delivering excellent legal services to our clients. From now on, we, as a team, will further enhance our efforts and continue to be fully committed to delivering excellent legal services to our clients. We would very much appreciate your continuous support. Lastly, I would like to take this opportunity to advise that I have completed my one-year term as the President of the Dai-ichi Tokyo Bar Association and the Vice President of the Japan Federation of Bar Association in April 2019, by which I go back to legal practice at Iwata Godo. The positions allowed me to engage in numerous unexperienced issues such as amendments to the Companies Act and amendments to the Anti-Monopoly Act. With those significant experiences, I am willing to be more committed to responding to the requests of our clients. We would very much appreciate your continuous support. Wakabayashi Shigeo, Ueda Atsushi and Oura Takashi represented a bank in a case at the Tokyo High Court and its commentary article on the judicial decision made on March 12, 2014 (the decision to maintain the decision made by the Tokyo District Court on April 24, 2013 that rejected an assertion of the invalidity of declaration of intention on the ground of miscomprehension made by Japan Federation of Credit Guarantee Corporations, who provided the bank with credit guarantee, for the case that the main debtor was antisocial forces) appeared in Kinyu Homu Jijo, Vol. 1991 and the Financial and Business Law Precedents Vol. 1439. Wakabayashi Shigeo held a "Lunch Seminar on the Revision of Civil Code (in the Area of Claims)" at our seminar room. 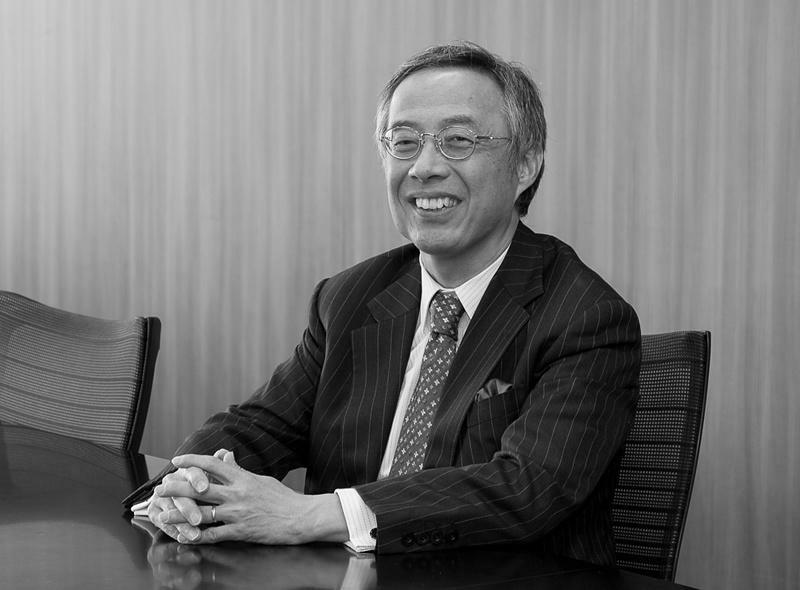 Wakabayashi Shigeo was appointed as another Representative Partner as of January 2013, besides Takeuchi Yo.